Home is Where Your Story Begins! ~ Beautiful ground-level townhouse in desirable Edgewood condo complex, close to highway access, commuter rail, shopping, great restaurants & many more area amenities ~ Gorgeous hardwood flooring throughout, this unit is sparkling clean and move-in ready ~ Renovated kitchen w/ granite countertops, upgraded cabinetry & stainless steel appliances ~ Separate open dining area flows into step-down living room w/ cozy fireplace ~ Large Master Bedroom & Master Bath w/ tiled-flooring & granite countertops ~ Generous-sized second bedroom & another full bathroom w/ tile flooring, granite countertops & in-unit Laundry! ~ Affordable, pet-friendly, maintenance-free living at its best! ~ This stunning unit won't last long so come take a look today! 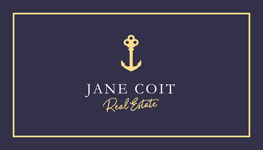 The listing office is Jane Coit Real Estate, Inc. and the listing agent is Jane Coit. The property listing data and information, or the images, set forth herein were provided to MLS Property Information Network, Inc. from third party sources, including sellers, lessors and public records, and were compiled by MLS Property Information Network, Inc. The property listing data and information, and the images, are for the personal, non-commercial use of consumers having a good faith interest in purchasing or leasing listed properties of the type displayed to them and may not be used for any purpose other than to identify prospective properties which such consumers may have a good faith interest in purchasing or leasing. MLS Property Information Network, Inc. and it's subscribers disclaim any and all representations and warranties as to the accuracy of the property listing data and information, or as to the accuracy of any of the images, set forth herein. The data was last modified on 12/18/2018 2:44:00 PM.